The posters were created by a student organization at Ohio University called Students Teaching Against Racism (STARS). 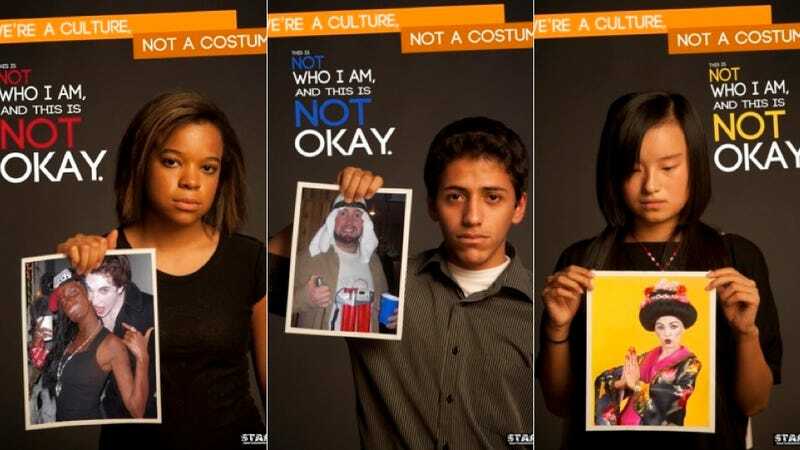 The copy reads, "We're a culture, not a costume." more here, here and here.